The next major ranking event after Australian Goldfields Open last week will be Shanghai Masters 2011, which will run from 5-11 Septemeber in Shanghai, China. 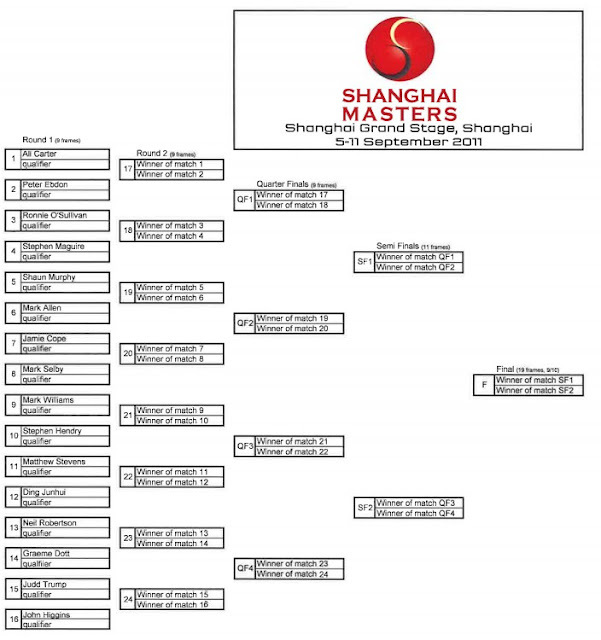 Shanghai Masters was used to be the first ranking event in the new season but it is now replaced by Australian Goldfields Open. 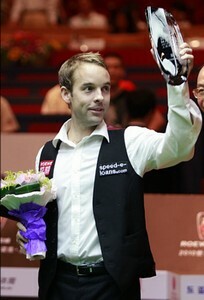 Ali Carter beaten qualifier Jamie Burnett in the last year's final by 10-7 to capture his second ranking title (after Welsh Open 2010) in his career. He is the defending champion of the tournament this year. Though the ranking tournament will be staged in September but the qualifying rounds starts this Sunday. Click here for the qualifying rounds draw and match schedule. 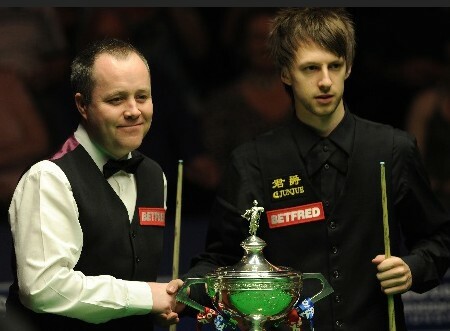 Judd Trump may meet John Higgins in the Round 2 if they both get through, that makes a repeat final of World Championship in May; The Defending Champion did not get a really good draw because he may play Peter Ebdon in the Round 2, who defeated him on first round of Masters this year. The current World Number 1 Mark Williams may crash with his best friend, Stephen Hendry in the Round 2. Besides, there is a potential Mark Williams v the Local Hero Ding Junhui match in the quarter-final. Will be an intense match! Hard to say if Ronnie O'Sullivan will pull out of another oversea tournament. Best of luck to his health condition. Don't let the Chinese fans down.